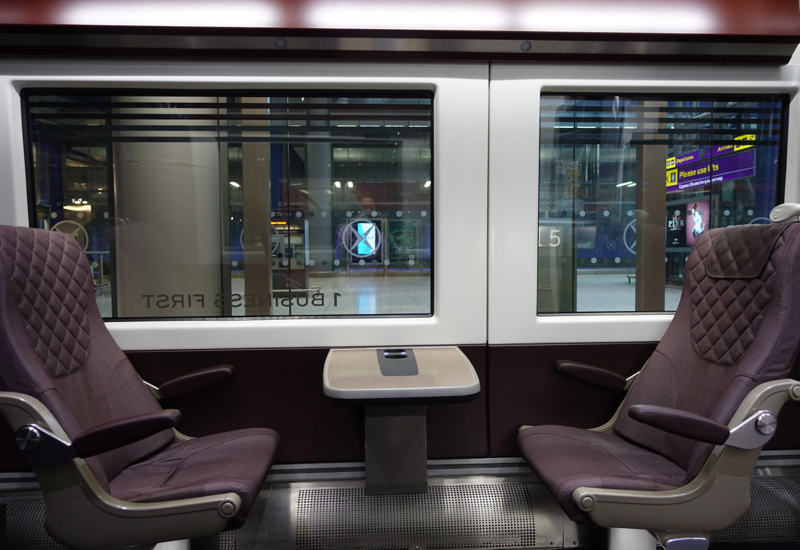 This post on the British Airways Arrivals Lounge in London Heathrow and the Heathrow Express to London is part of a round the world trip report including first class and business class flights, luxury hotel stays in London and Asia, and restaurant reviews. 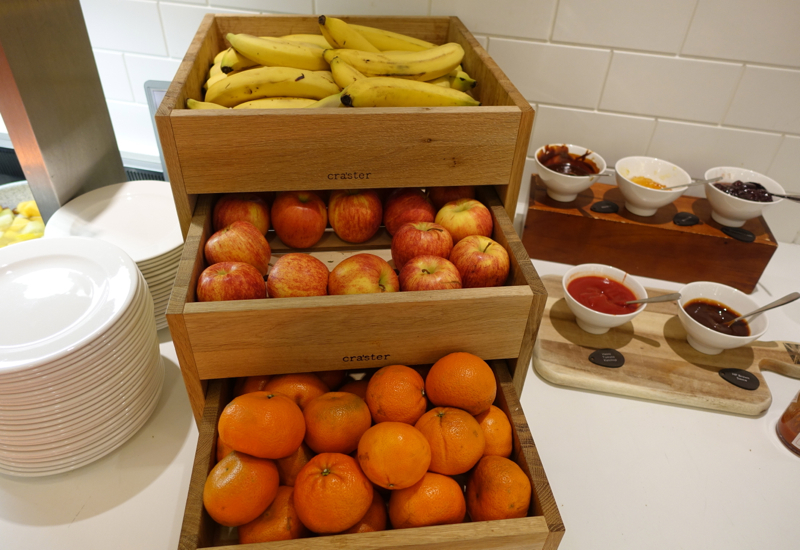 We visited the British Airways Arrivals Lounge and Concorde Room in London Heathrow's Terminal 5 last August, when we both flew British Airways New First Class to London before stays in London, Scotland, Paris and the south of France. 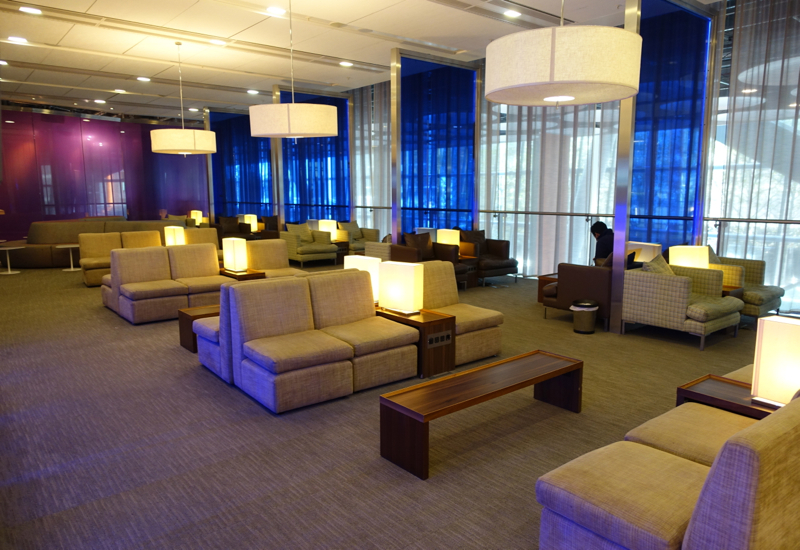 The British Airways Arrivals Lounge is located in Terminal 5, after you exit baggage claim and customs, on the 2nd level. We were checked in quickly with our boarding pass from our flight. This time, one of us could have had breakfast in the Concorde Room, but we had no time, since we had an appointment in London and our flight arrive late due to delays both departing from JFK, and arriving into London Heathrow (and weirdly, for the same reason: the truck pushing our plane back at JFK broke down and had to be replaced, and the truck that was supposed to move the plane occupying our slot at LHR also broke down–go figure). We did stop by briefly, however, since I wanted to let the munchkin sleep as long as possible on the flight, so he'd had no breakfast and was famished. 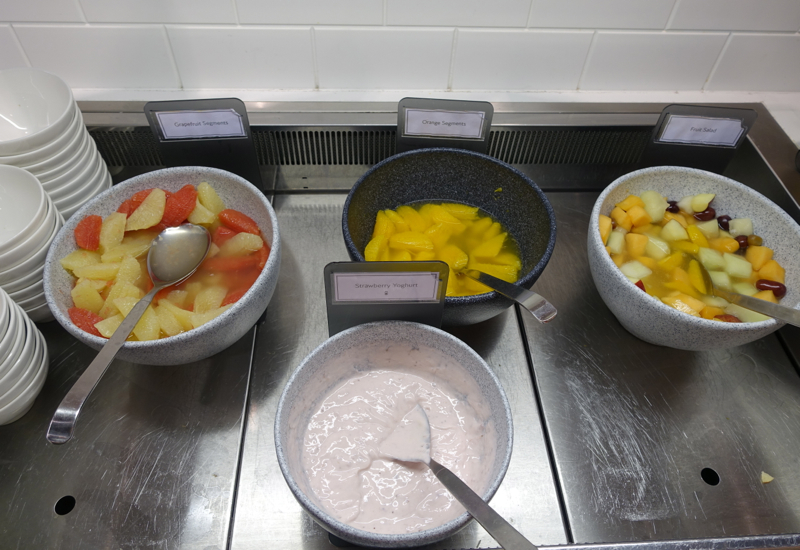 Since I wasn't willing to wait on Concorde Room service, I helped him to items from the Arrivals Lounge breakfast buffet. I also gave him some strawberry yogurt. Last time, there was also plain yogurt and plain Greek yogurt, but those options weren't there this time around. 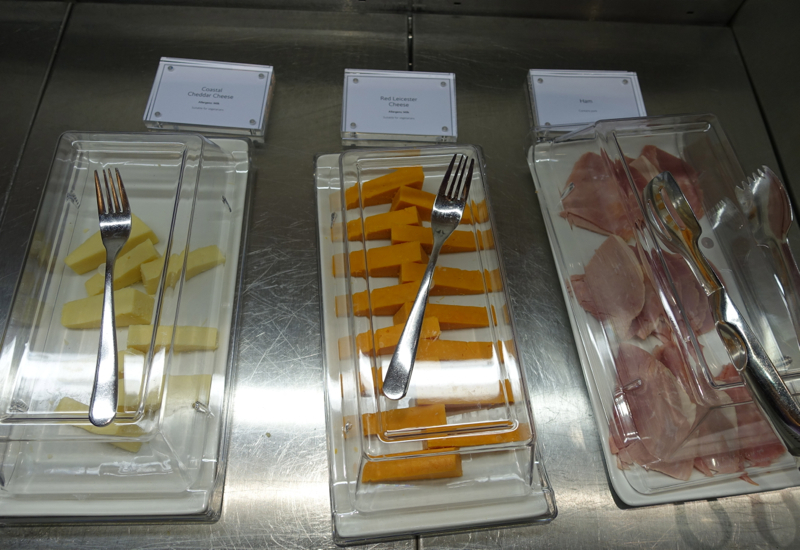 Similarly, there seemed to be fewer options at the cheese and breakfast meat station, where there were two kinds of cheeses and only ham, instead of the three kinds of cheeses, ham and salami that were offered on our visit last year. It's possible that we were there late enough that they had simply run out of some of the choices, however. The lounge does offer showers and complimentary 15 minute Elemis massage, although the massage is first come, first served for all first and business class passengers in the British Airways Arrivals Lounge; it's not possible to pre-book, even as a first class passenger, as you can if you're departing London. 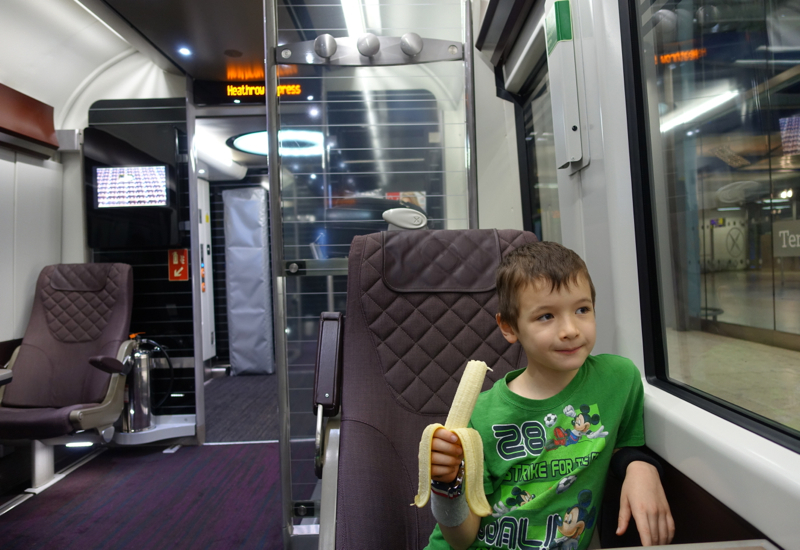 As soon as the munchkin had some food in him, we descended to the ground level, turned right, and followed signs to the Heathrow Express. 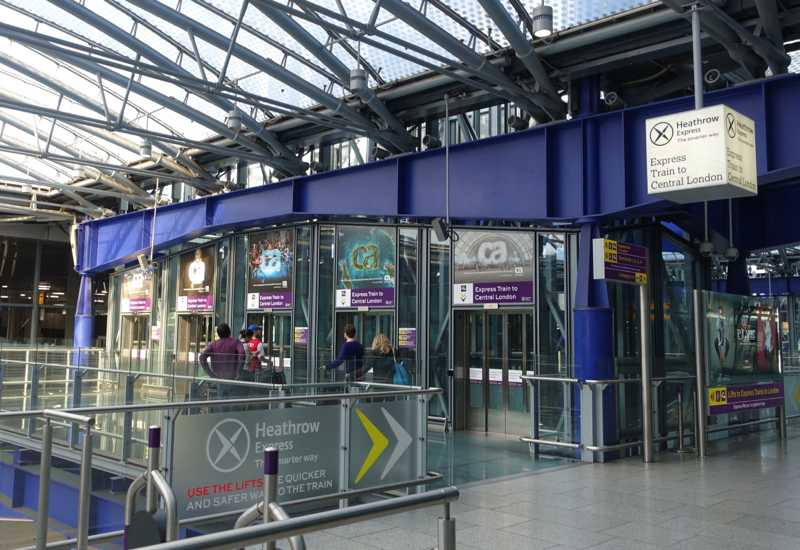 There are elevators (or “lifts” in British English) to the lower level, where the Heathrow Express runs. 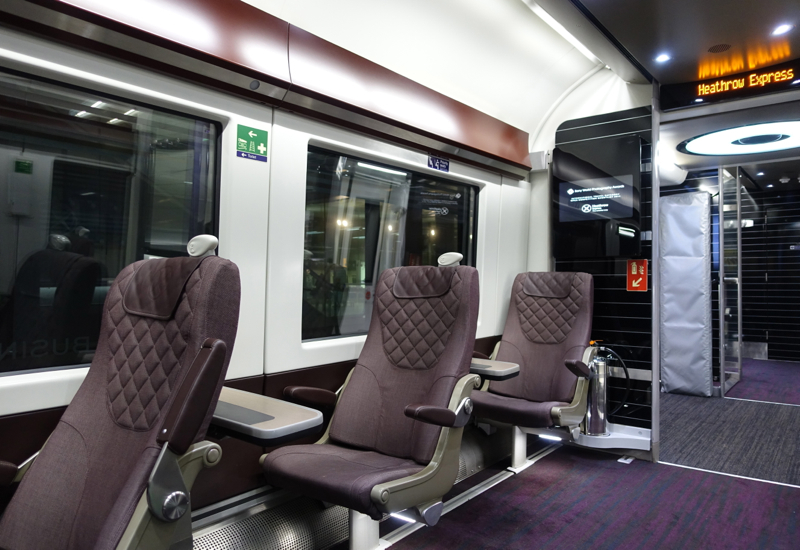 As I mentioned in my post, Best Ways to Get From London Heathrow LHR to London, there's really no point in paying for Business First unless you must guarantee as few people in your car as possible, since it's normally such a short trip: 15-18 minutes to London's Paddington Station. Since there was a promotion, we paid the fare for the normal service, and received a complimentary upgrade to Business First. But we opted to sit across from each other in seats that had a table, so I could do a little work (there's free WiFi). The munchkin happily finished a banana from the British Airways Lounge and looked out the window as we zipped along to London. 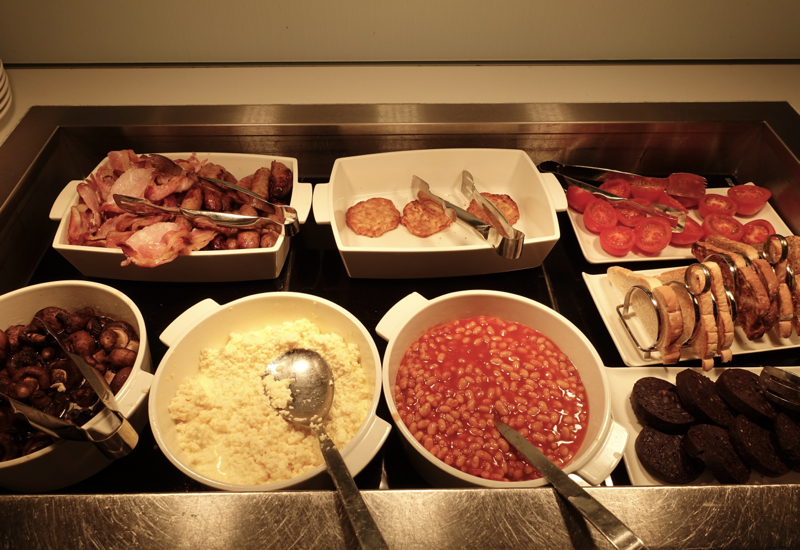 The British Arrivals Lounge was nearly the same as we experienced last year, although seemingly with fewer choices at the breakfast buffet, perhaps due to our late morning visit. The food quality was acceptable, although not as good as the best options from local grocery stores. 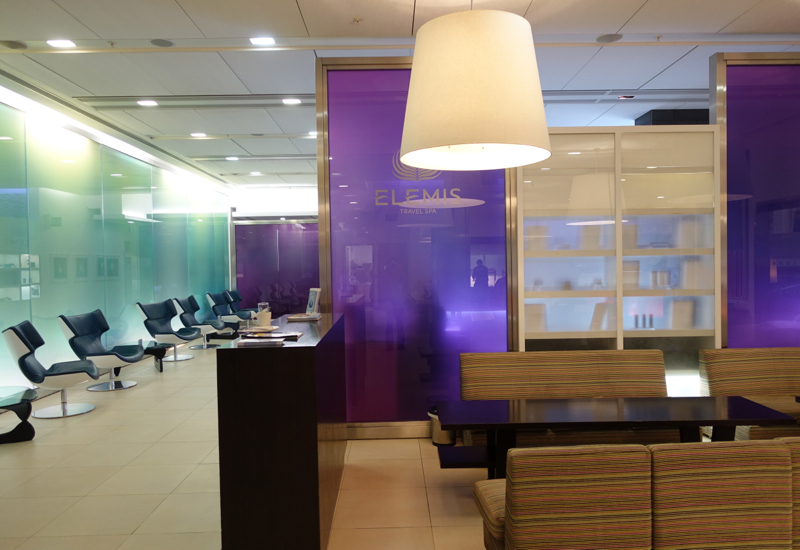 Overall it still gets the job done, although I wouldn't fret about missing out on an Elemis massage if you don't get a spot, given my horrendous Elemis massage experience last year when visiting the Concorde Room. 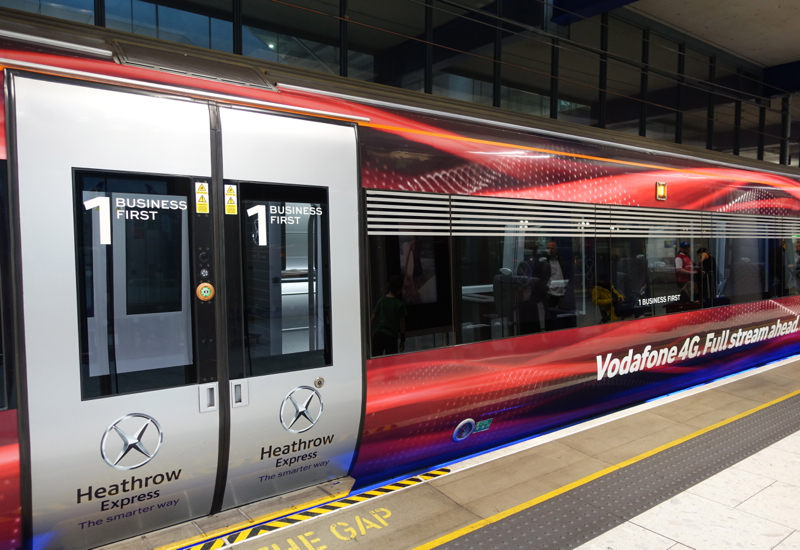 The Heathrow Express is a good, fast bet if you need to be somewhere in the Paddington area or easily reached from Paddington, thanks to how fast it operates. For some London destinations, however, you might prefer the London Underground (subway) in order to minimize ground transfer time in central London, given the traffic there, or may want a taxi or chauffeur service if you're traveling with a lot of luggage. 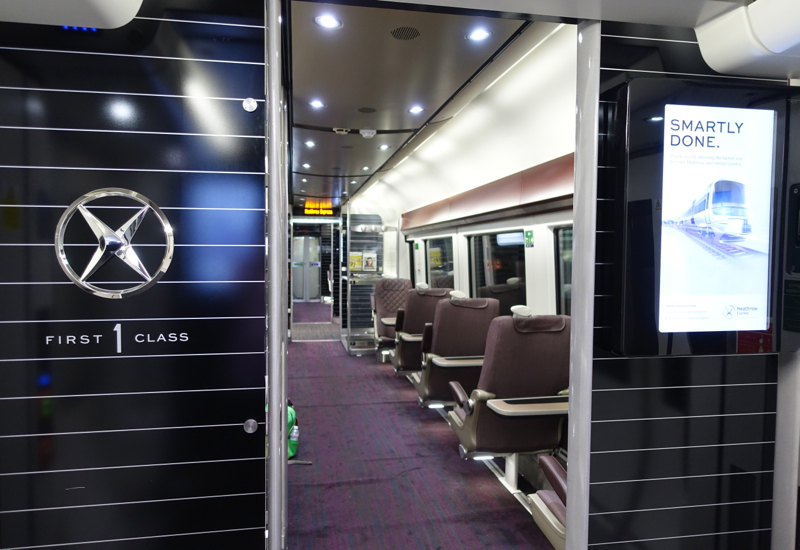 What's your experience with the British Arrivals Lounge and/or the Heathrow Express?